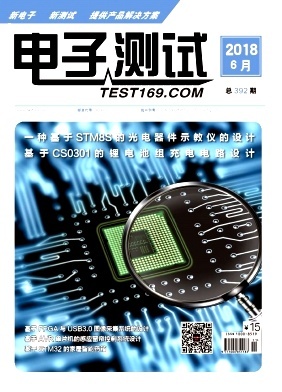 Design of multi-channel smoke alarm system based on GPRS Wei Chenglin;Hangzhou Rayleigh sonic Technology Co.
TestStand based auto-detection program development Lang Jie;Guilin changhai development co.
Development and application of a asphalt strain sensor Sun Chunhui;Shanghai Bi an Sensing Technology Co. The application of PLC technology in electrical automation control of chemical plant Li Yongfu;guangxi hengxin engineering quality inspection and consulting co. The application of PLC technology in electric automatic control is discussed Ye Siyuan;Guangzhou high quality information technology co. Discussion on performance Optimization of ORACLE 11g Database Wang Haining;Beijing Huayu engineering co.
Design of image acquisition system based on FPGA and USB3.0 Yao Qingzhi;Wang Yong;Gao Meng;Shanghai integrated circuit research and Development Center Co.
Technology and application of refrigeration and energy saving in data center Wang Wei;Fujian the Great Wall Electronic Technology Engineering Co. The method and implementation of T/R module Phase-shifting set-up time Xu Baoling;Ding Zhizhao;Qiao Hongzhi;China Science and technology instruments and instruments Co.
A method of recognition and analysis Satellite navigation system pseudo-random code Xiong Yiming;Lan Defu;Xiao Yue;Chen Siyang;Beijing Institute of Astronautical Systems Engineering;Beijing fuseq Electronic instruments Co. Distributed communication jamming equipment and design analysis Bai Lu;Guangdong telecom planning and design institute co.
Research on neighbor problem of LTE network based on signaling analysis Xu Tong;Yuan Yao;Huaian Vocational College of Electronics and Information;Jiangsu Mobile Communication Co.
Design and implementation of Optical Transmission Network synchronization system based on OTN and PTN Zhang Zhenjie;Zhao Bo;Liu Jie;Xinjiang Electric Power Company Information and Communication Company;Xinjiang Information Industry Co. The Design of Low Power Single-Phase Intelligent Electric Meter Based on Cortex-M0 Wang Dong;Wuhan San Fran Electronics CO. Application of frequency conversion control technology in steel and metallurgy field Xu Fatao;Laiwu steel group co. The safety design of electronic brake control system is analyzed Shen Yunfeng;Beijing Wufang YIda Management Consulting Co. Analysis of energy saving speed control device of high voltage motor in metallurgical enterprises Meng Zhaopeng;Laiwu steel group co.